Samsung has dipped into its rather large pockets and bought up streaming stalwart Boxee. Famed for its Boxee Box, and being one of the original platforms for streaming technology, the Israeli company has been looking for a suitor for some time now and Samsung has sealed the deal. "Samsung has acquired key talent and assets from Boxee," a Samsung spokesperson told us in a statement. "This will help us continue to improve the overall user experience across our connected devices." Samsung is rumoured to have paid 'tens of millions of dollars' for the company which is a bit of a bargain, considering Boxee has had around $30 million (£19.6 million/ AU$33 million) invested into it. We're still waiting on final financials of the deal. Boxee had hoped to muster up a further $30 million investment but it now seems that it has chosen a Samsung buyout instead. The Boxee Box was a direct competitor to Google TV when first released back in 2010. Made in cooperation with D-Link offered similar features to Google, such as apps for streaming web content to a television. Skip three years on and the streaming game has significantly changed, with everything from consoles to Freeview boxes offering on-demand content. It is likely that Samsung will integrate Boxee's streaming systems into its next-generation of Smart TVs, rather than producing standalone products brandishing the Boxee name. 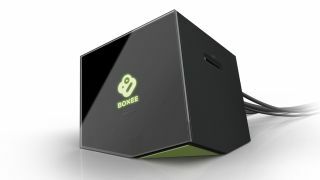 Boxee has been working on a cloud storage service that Samsung will no doubt be interested in using as well.